Dear Taj & Alexander reached us on our website. This couple warm people of the cold country was the owner of a farm in Norway. We had 1-year correspondence with Dear Taj. She was forced to decide for a wedding venue but she was very right Because I offer many options!!! It was very hard to decide. 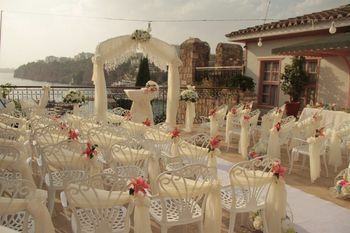 There is so many wedding venue in Turkey. Dear Taj & Alexander made the right decision. 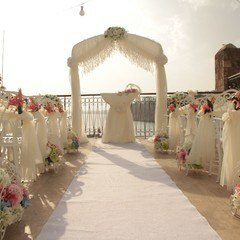 We took a Perfect wedding photograph reflect the yesterday and today at the historical place. Taj & Alexander’s guests were a happy and cheerful group. We are very glad to host all of them here in paradise Antalya Turkey. 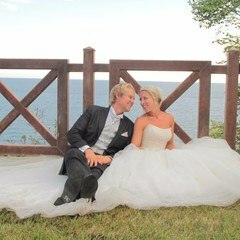 After the wedding, we met with Taj & Alexander and their guests' fort he sightseeing program prepared before. 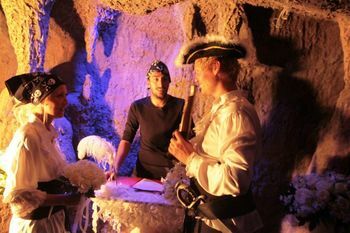 We have prepared a special wedding ceremony table in the special cave of Aquarium. Taj & Alexander got dressed the special prepared Pirate. They came to the symbolic ceremony with their special prepared pirate costumes. 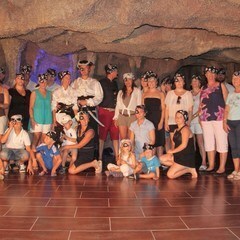 Also, we gave bandana and leather pirate glasses to all guest to commemorate the day. They liked these bandanas and pirate glasses too!!! After the Aquarium we went to Dolphin show together. 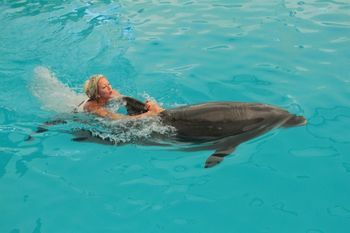 According to program bride Taj would swim with the dolphins. Taj was ready but dolphin was afraid because of wedding dress. They adapt soon and started to swim together. Dolphin the world’s most intelligent and emotional animal understood soon that it is swimming with the most beautiful bride of Norway. They took the tour several times in the pool with the bride. It was a magnificent sight Las station of our sightseeing was the Duden Waterfall. Everyone was very tired but they were also happy. 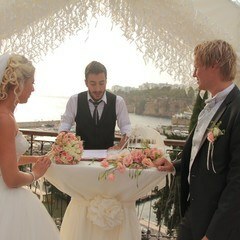 Norway Wedding in Turkey Antalya doesn’t finish directly after the wedding. 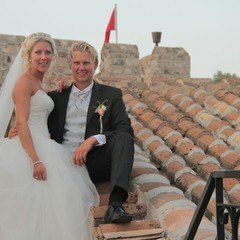 Guests have had a fairytale wedding in Turkey Antalya. Also, we perpetuate these moments with photographs. We took the last pictures at the Duden Waterfall accompanied by beautiful blue of the Mediterranean Sea, own special green Antalya, and a sparkling sky.